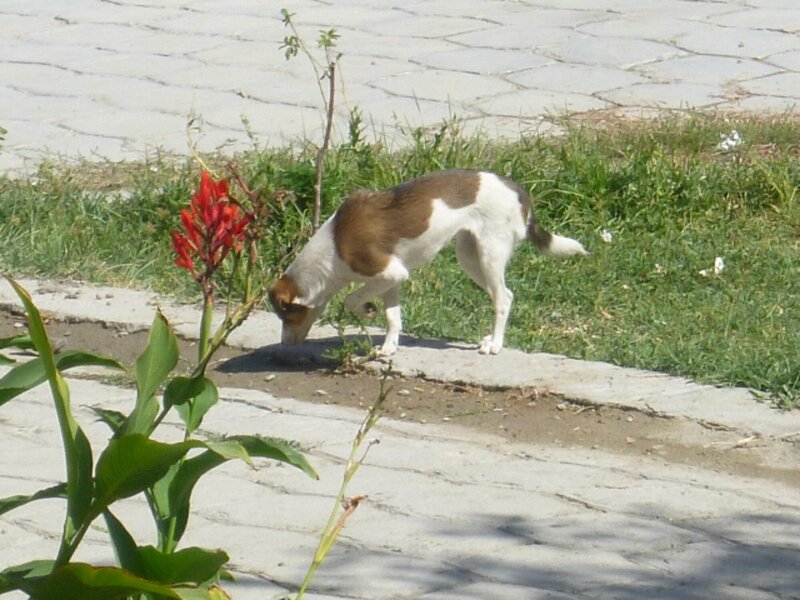 Street dog in Bukhara, Uzbekistan | Can I Bring the Dog? I see some, though not a terribly lot, of smaller dogs on the street here. They don’t look starved, they seem car savvy, and they clearly have someplace to be…they’re not lost, they are going some place.